if other regions of the North are wired. 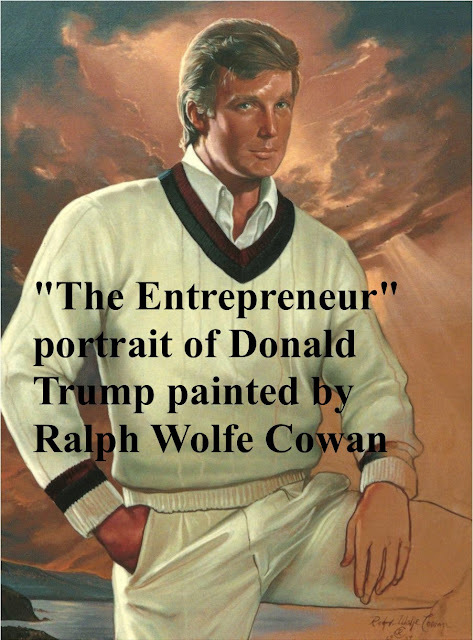 I may be missing a few subtleties, but the North Korean Cult of Personality and the Trump Cult of Personality have disturbing similarities. Many are saying I'm the best 140 character writer in the world. It's easy when it's fun. 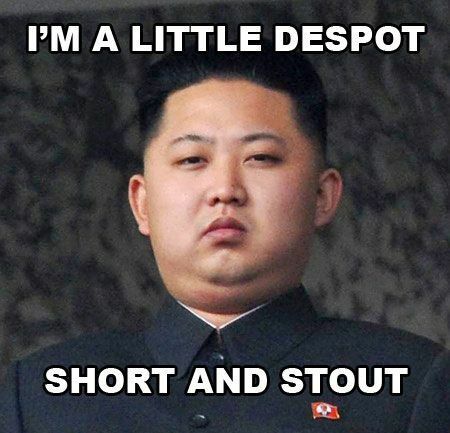 Because North Korea has a 60 year head start embracing a dictatorial megalomaniac, the American dictatorial megalomaniac might want to consider economic options before he returns our country to the 1600s. 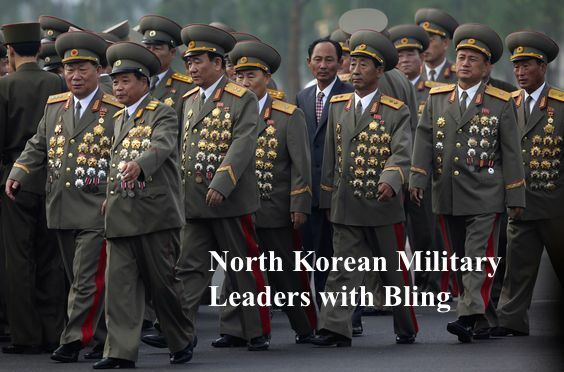 That being said, North Korea has an interesting export business. These statues look like they're made to be toppled. 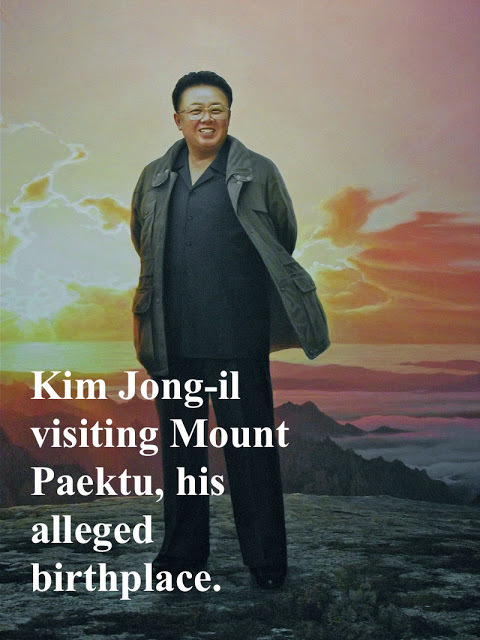 Kim Il-sung, the first Supreme Leader of North Korea, as most newly installed despots do, demanded his loving followers construct enormous and idolatrous statues befitting his authority. 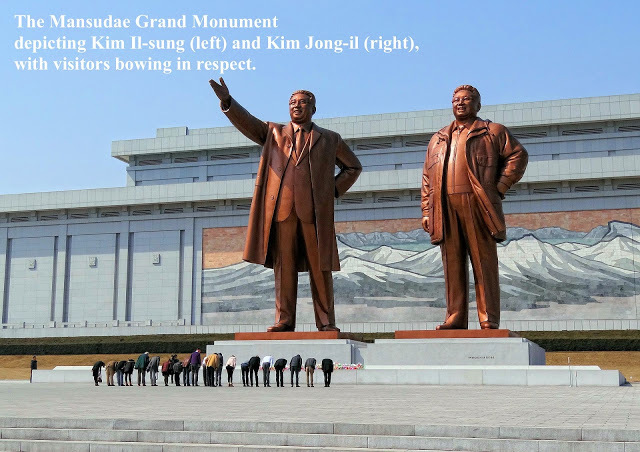 At some point, the North Korean dictator decided that other despots would also enjoy enormous and idolatrous statues befitting their authority. and of course, size is everything. 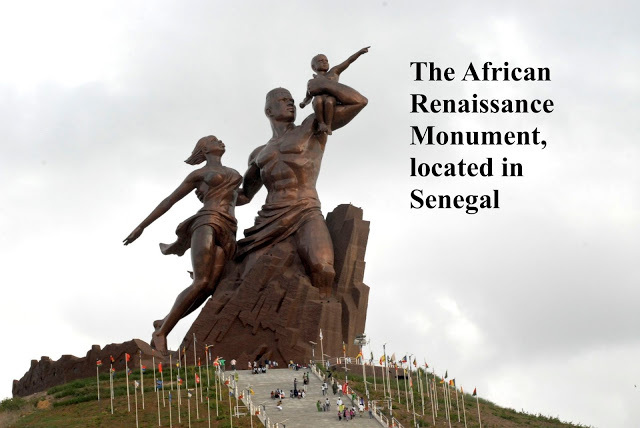 The largest statue to date is a 160 feet structure in bronze, located in Senegal and celebrating the African Renaissance. Unable to pay a $27 million bill, the President of Senegal deeded state owned land to the North Korean regime. In addition, he didn't consider the response of the majority Muslim population to the exposed breasts of both sexes. There is a very popular, giant, Trump figure. 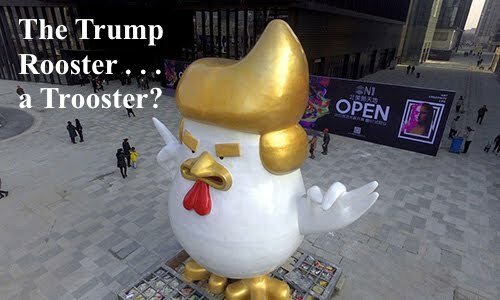 In the Year of The Rooster and the Year of The Donald, China has created a Trump Rooster. The inflatables range in size, and cost, with a six-foot blow up selling for $50, and a 52-foot model for $5,300. Maybe that's why we aren't going to trade with China anymore. There is also a shared fondness for medals. Man, that’s like big stuff. 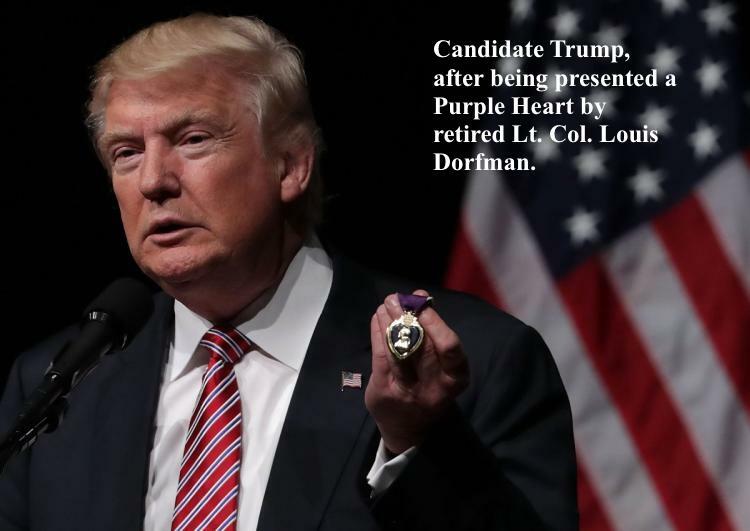 This is what you look like when you are awarded a Purple Heart. attending an opening ceremony of a cemetery of fallen fighters. 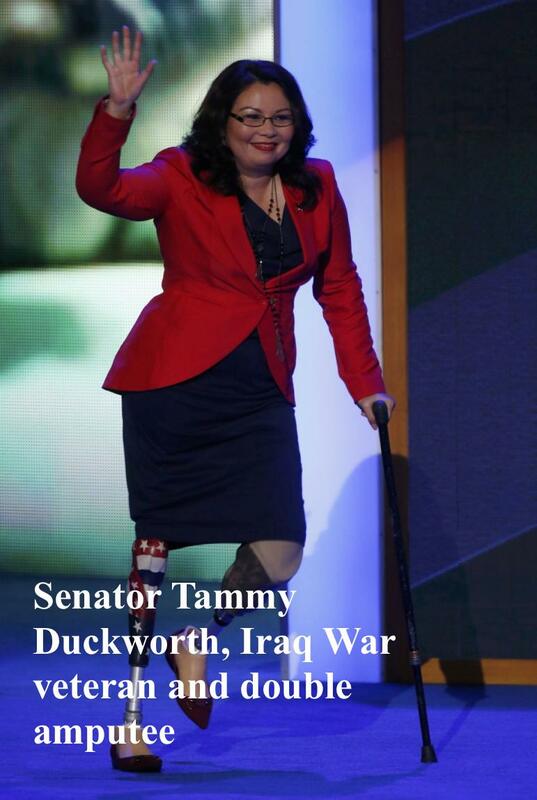 we will not hesitate to slap them with a preemptive nuclear strike. The United States must choose! It’s up to you whether the nation called the United States exists on this planet or not. 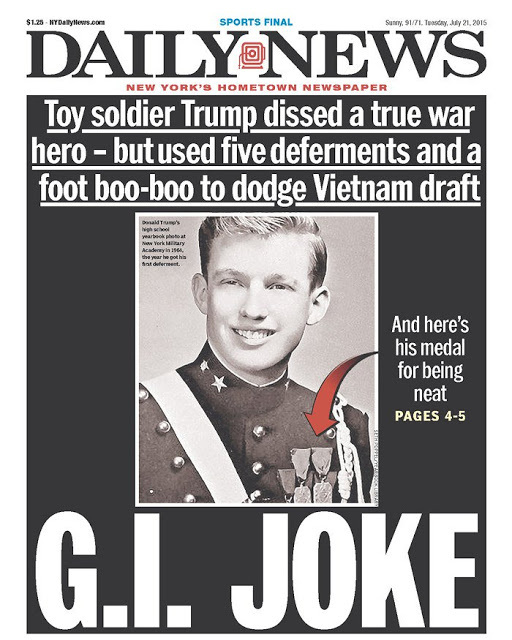 Ironically, we may already be at war with North Korea and our current Head of State wasn't the crazy politician who started it. An armistice, intended only as a temporary measure, was signed in 1953. No peace treaty has ever been signed. In March of 2017, Senator McCain called Kim Jong -un "this crazy fat kid" and Senator Cruz called North Korea a state sponsor of terror. 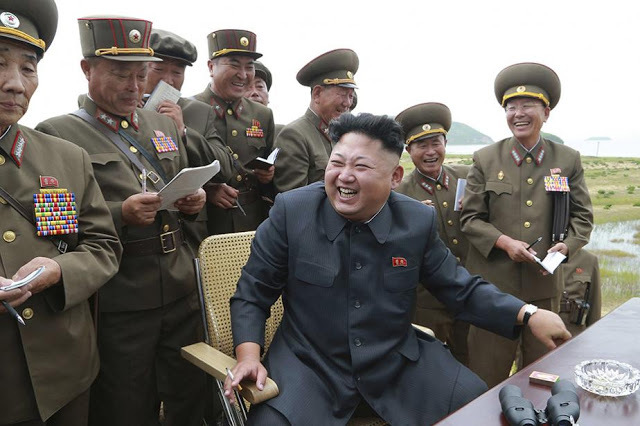 "As such guys as John McCain and Ted Cruz made a provocation tantamount to a declaration of war against the [Democratic People’s Republic of Korea], the DPRK will take steps to counter it. 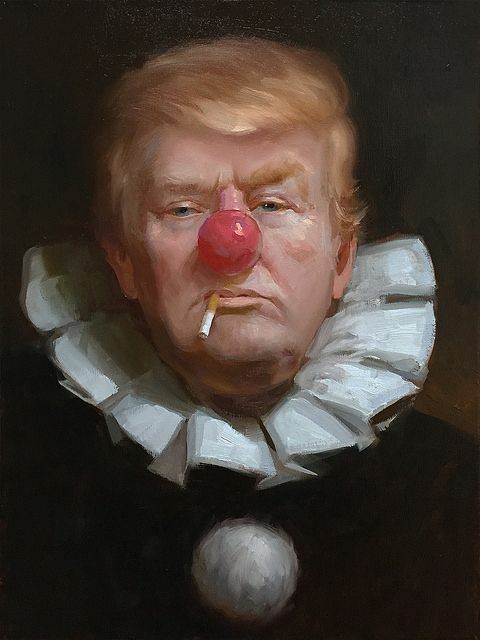 They will have to bitterly experience the disastrous consequences to be entailed by their reckless tongue-lashing and then any regret for it will come too late." One more bit of irony? 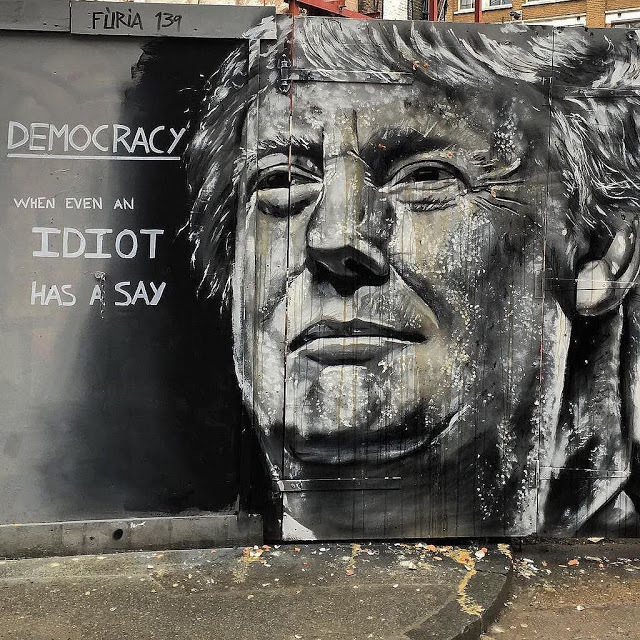 I'm not sure how many global eye rolls or witticisms were directed at America pre 2017, but I am willing to bet Trump has ensured our country's place in global buffoonery.